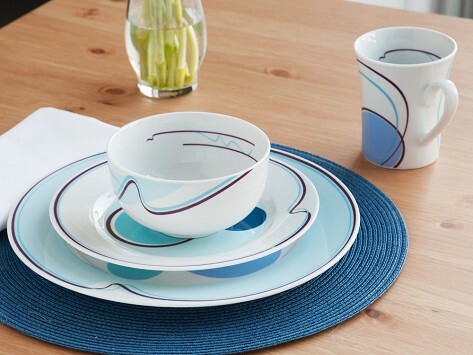 Elegant Livliga plates feature patterns that are clever portion guides for each food group. And the wide outer rim frames your meal to look like there’s plenty of food on the plate, so your eyes, brain, and stomach are satisfied. Dimensions: Dinner plate 10.5" diameter; Side/salad plate 8.25" diameter; Cereal/soup bowl 16 oz. ; Mug 10 oz. used, enjoyed, then gave to daughter to measure out. 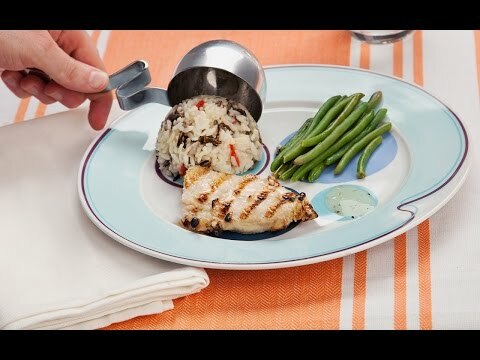 Ilove these plates, they are so helpful in my daily diet. I like that if you put them on the microwave they do not get to hot to grab hold of.